This Jerome Bettis game used Pittsburgh Steelers Air (Riddell) helmet shows lots of game use with scratches and scuffs through out. 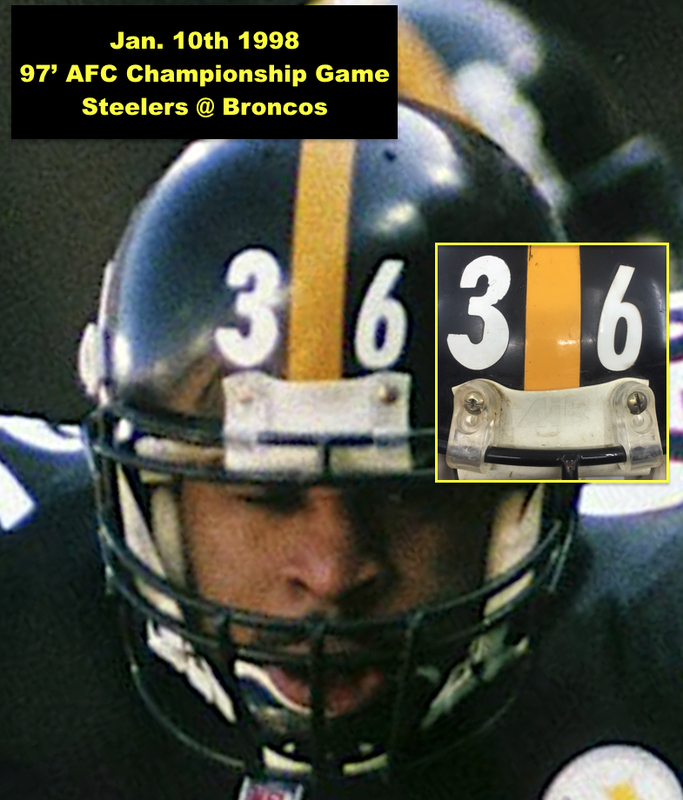 The helmets shell photo matches to a contest on Nov. 16th 1997 versus the Bengals and the helmet and facemask photo match to the AFC Championship Game versus the Denver Broncos on Jan. 10th 1998. There is a warranty expiration sticker under one of the top interior pads from 05-95. There may have been another warranty sticker added at a later date that is no longer a part of the helmet. 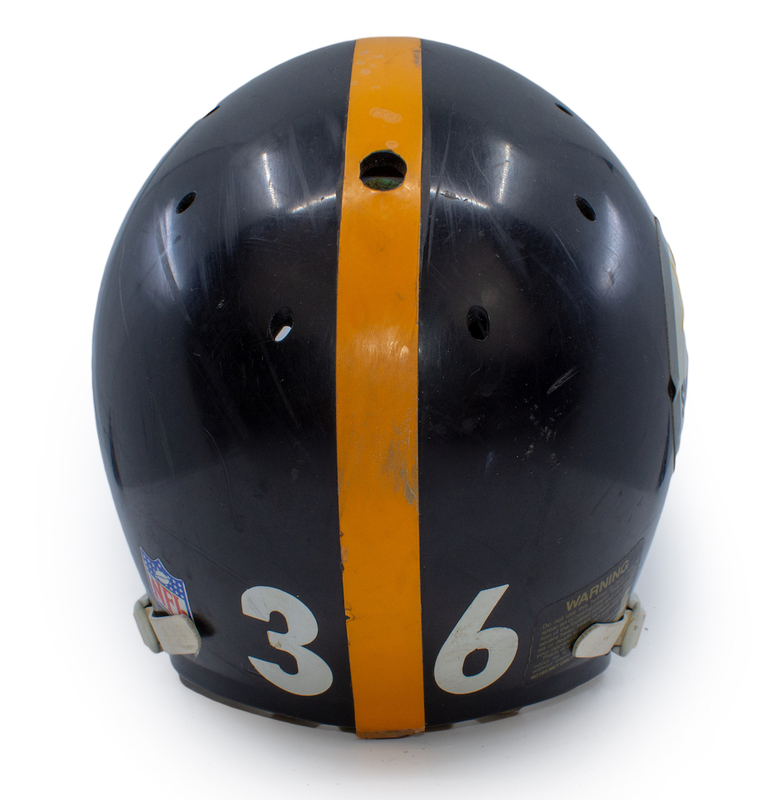 On the back of the helmet shell; affixed is the warning label along with the “3” and “6” number decals (also affixed to the front of the helmet). 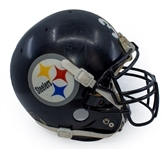 The NFL logo sticker can be found to the left side of the back of the shell. Warning stickers can be found in the interior of the helmet. 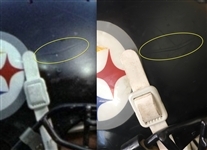 Some extra medical tape has been added inside the helmet. 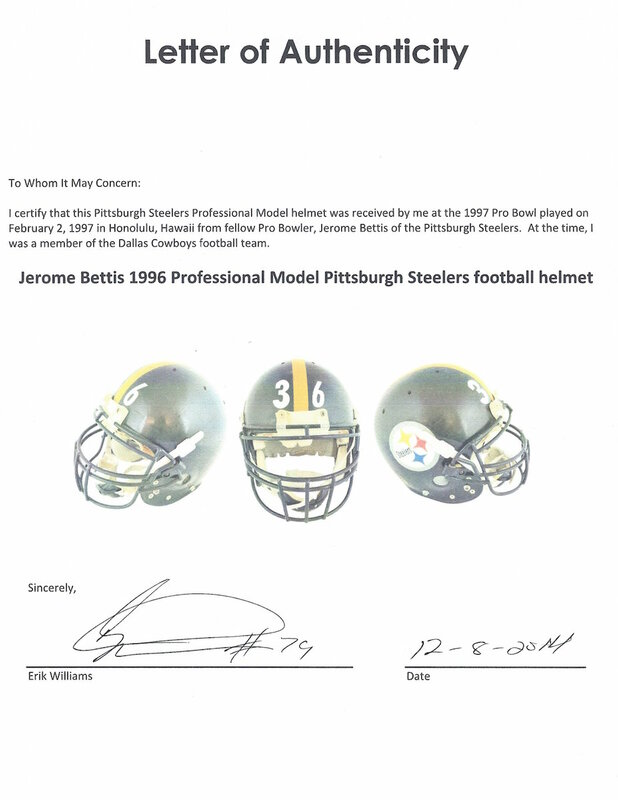 The helmet is accompanied by a full letter of authenticity from former Dallas Cowboys legend, Erik "Big "Cat" Williams who claims to have acquired the helmet at the 1997 NFL Pro Bowl but the helmet photo matches to the 1997 NFL season which means that Williams meant to refer to the 1998 pro bowl. 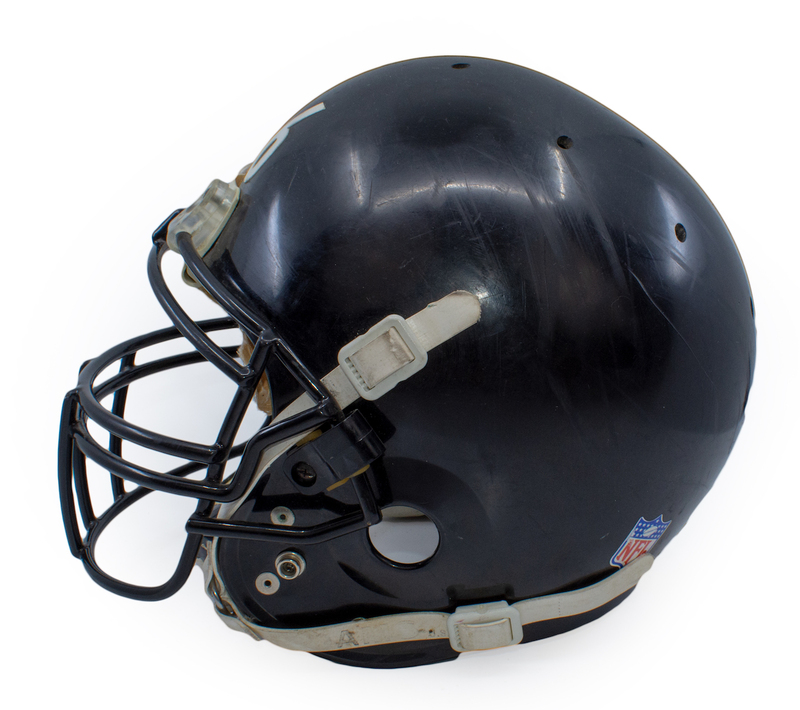 The helmet is also accompanied with a photo match LOA from Real Game Used. 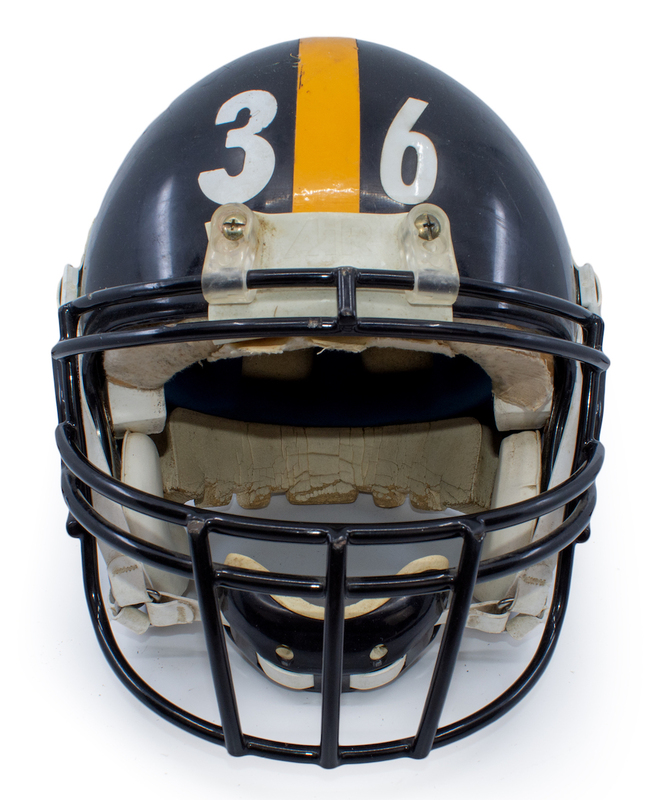 The most recent photo matched Bettis game worn item sold for just over $19,000 as his items are increasingly scarce.